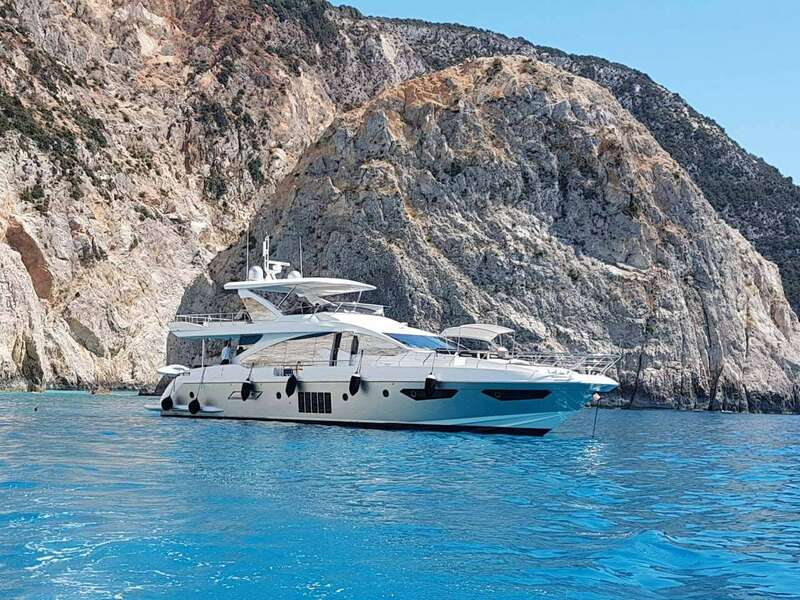 Azimut motor yacht MEMORIES was built in 2017 with a GRP hull and superstructure in sleek modern styling. 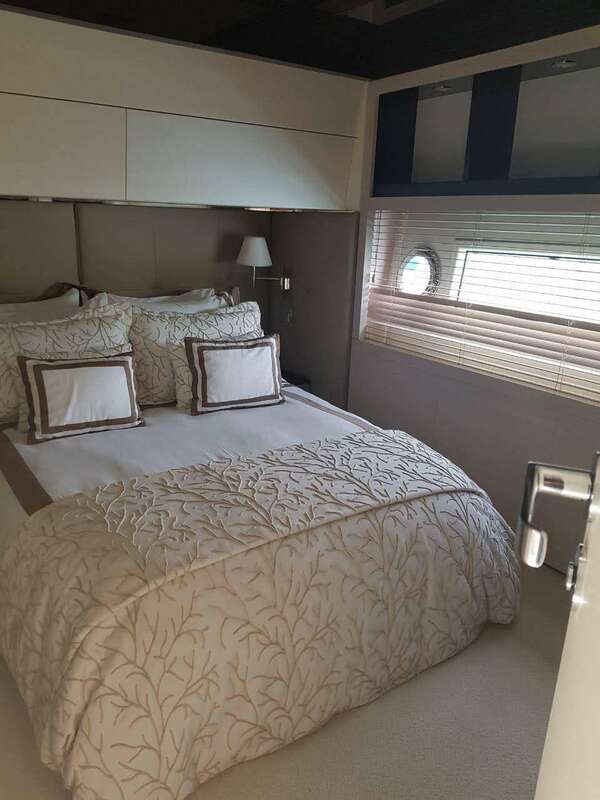 With a length of 25.2m/82.8ft and a beam of 6m/20ft, there is plenty of space for nine guests to cruise and sleep aboard over four en-suite cabins. 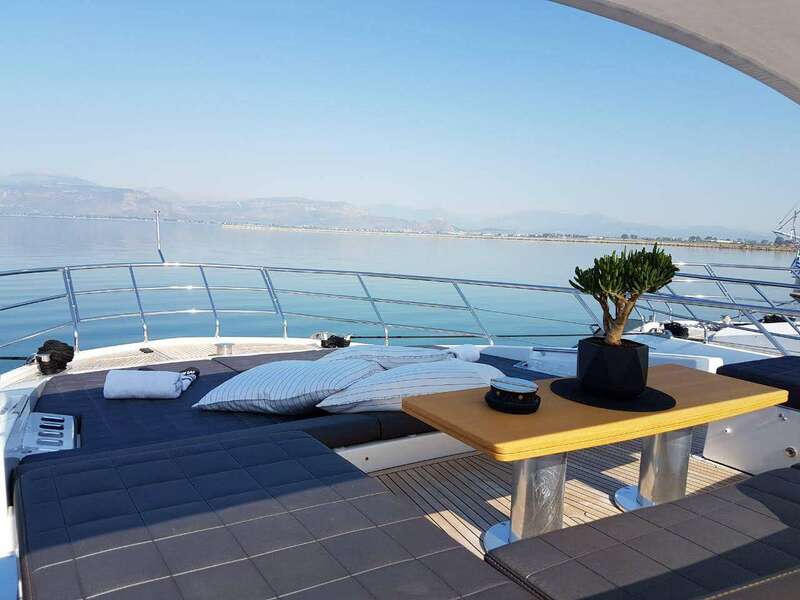 The swim platform can be used for sunbathing, easy access to the water and for storing the tender while cruising. 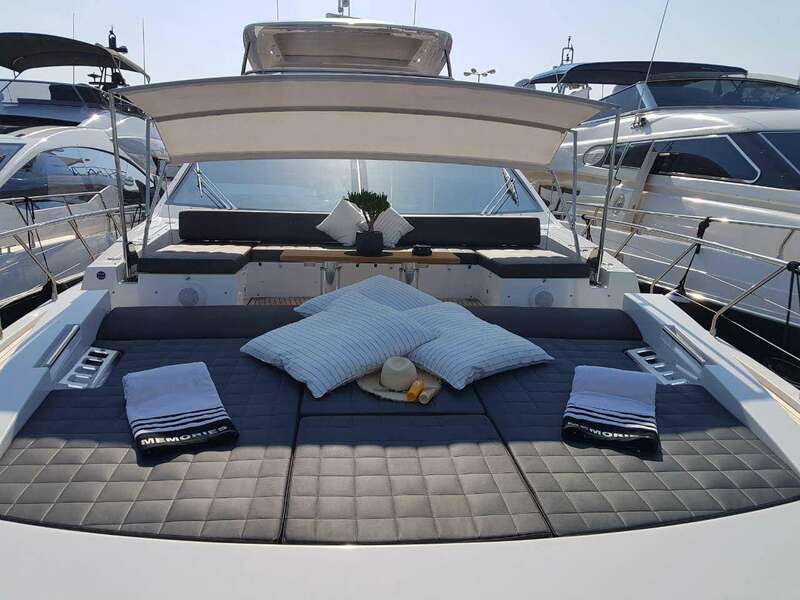 The main deck aft cockpit offers a C-shaped sofa and grand table for alfresco dining in the shade. 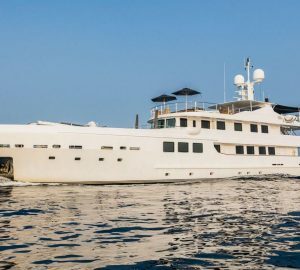 If guests want to take in the forward views, sun pads are spread across the bow and a more casual alfresco dining area is placed beneath the helm station. 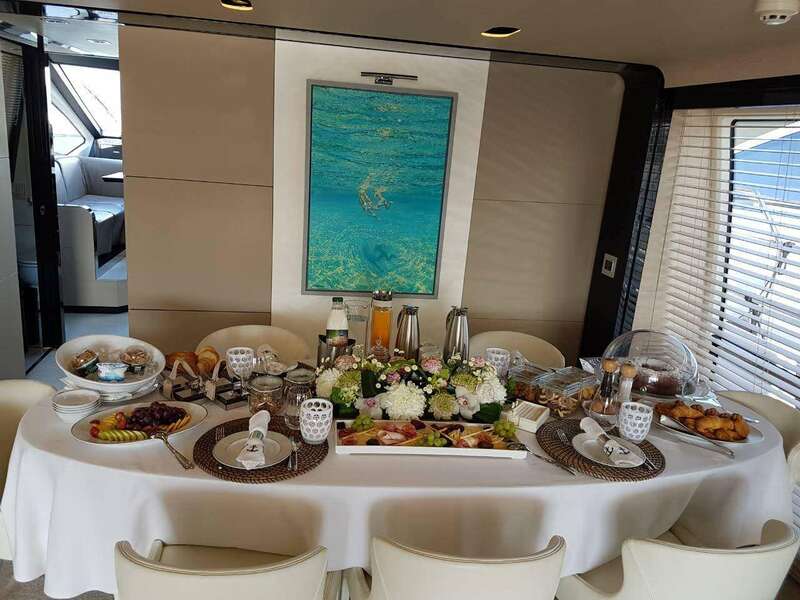 On the flybridge, guests have plenty of aft space for exercise, after which the group can ease tired muscles in the starboard aft Jacuzzi. The central section hides a C-shaped alfresco dining table and a bar that can be opened up to the sunshine through the automated fold-back roof. An additional port-side seating area is placed to the left side of the forward helm station for a cosy place to admire the surroundings over a candlelit dinner. 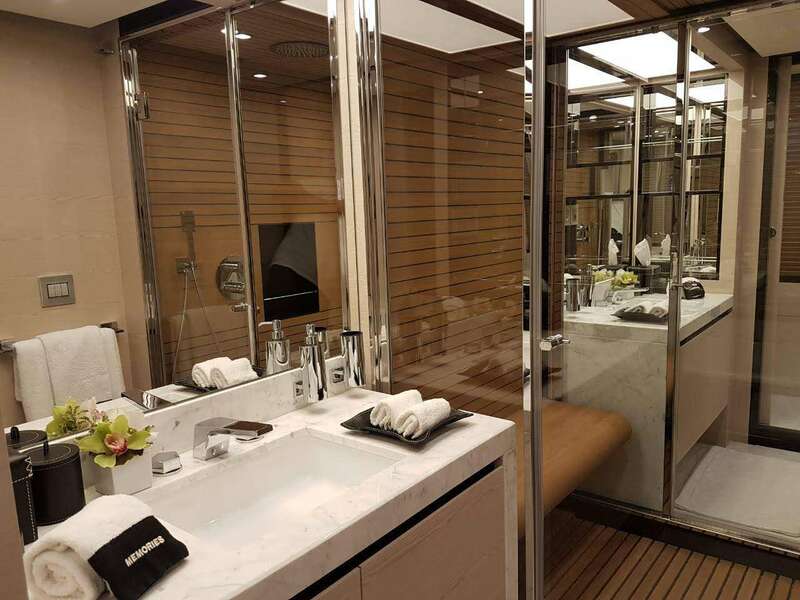 The lower deck places the crew accommodation in the stern with the engine room in front and the Master suite with its own lounge and grand en-suite bathroom amidships. The double cabins are placed on the port side and in the bow, with the twin containing the Pullman berth placed on the starboard side. 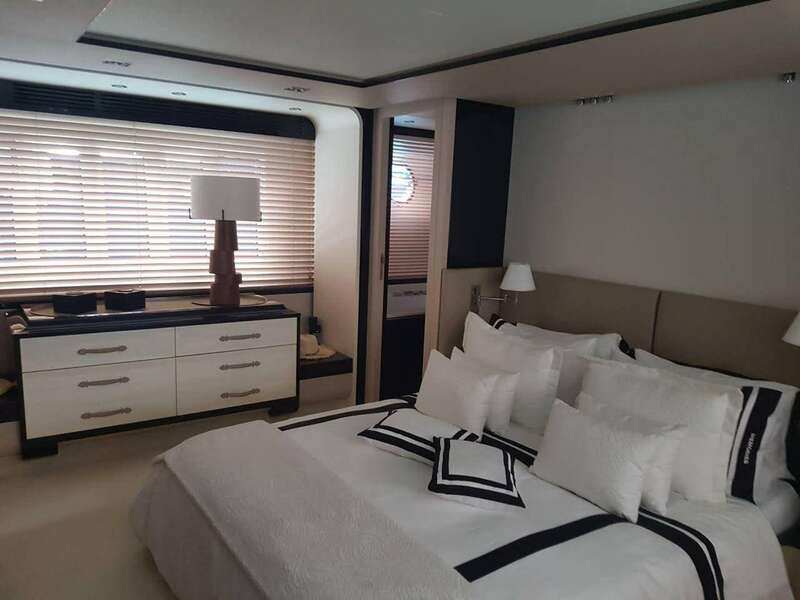 On the main deck, the helm station is placed to starboard with room for a corner sofa integrated into the port side. Behind, the corridor leads into the large main salon where there is a glamorous formal dining area to seat all guests in style while taking in the fresh air from the opening glass side door. 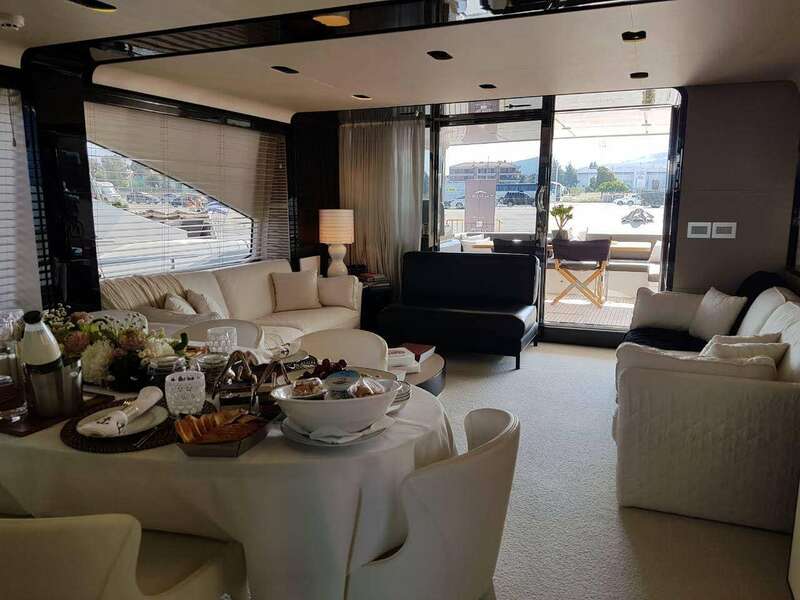 To the aft, the light-filled interior includes two white sofas complemented by a plush charcoal chair with views out across the main deck aft. Twin 1800 HP MAN CRV12 engines producing 1800 HP each allow M/Y MEMORIES to reach a cruising speed of 26 knots and a top speed of 31 knots. 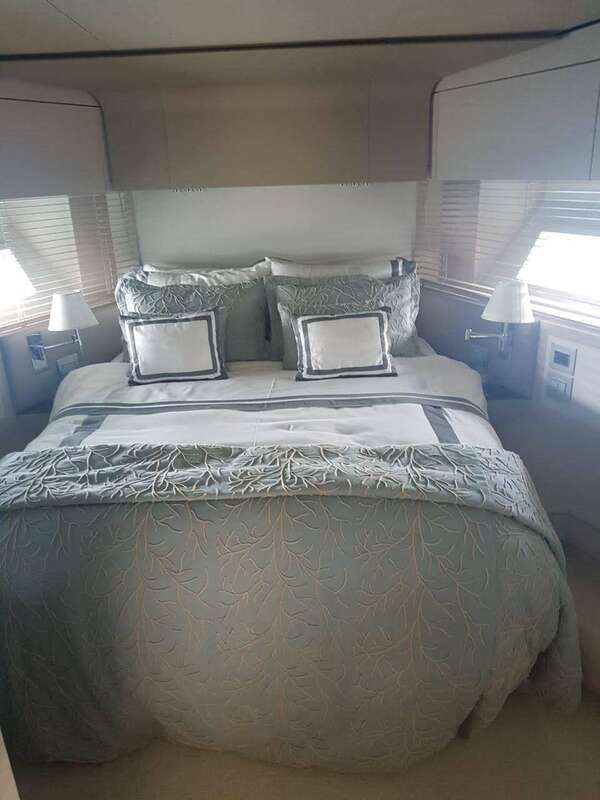 The accommodation sleeps a maximum of 9 guests over four large contemporary cabins: 1 Master suite, 2 double cabins and 1 twin cabin with an additional Pullman bunk. The crew of 4 will take care of everything for a relaxing and enjoyable cruise.